Metal Tiger plc (LON: MTR), the London Stock Exchange AIM listed investor in strategic natural resource opportunities, has today announced that it sold, on market, 1,500,000 shares in MOD Resources Limited at an average price of AU$0.3062 per share for total proceeds of circa AU$459,000 (£254,000). 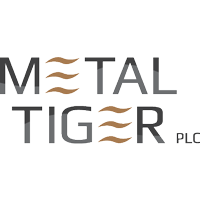 Metal Tiger now holds 29,564,220 MOD shares representing 10.47% of the issued share capital of MOD, 40,673,566 unquoted options with a nil exercise price and expiring on 15 November 2021, and 154,167 options over MOD shares, each exercisable at AU$0.06 per MOD share on or before 15 April 2019. As previously announced, Metal Tiger confirms that it has made a non-binding commitment to take up its 1 for 13 entitlements under the MOD rights issue priced at A$0.24 per share announced on 21 January 2019 and the Board expects that this sale will cover the majority of Metal Tiger’s costs in taking up its entitlements under the rights offering, should MTR do so, and that the net holding of MOD shares will increase in the event Metal Tiger takes up its full rights. For the year ended 31 December 2017, MOD reported a loss of AU$3.3 million. As at 30 June 2018, MOD reported net assets of AU$45.8 million. Click MOD MTR for the full archive.